Two MUHC hospitals have recently received new accreditations: the Montreal General Hospital was designated a secondary stroke centre and the Montreal Neurological Hospital, a tertiary stroke centre. A young mother reading a bedtime story to her son suddenly is unable to decipher the letters on the page. A middle-aged man at a restaurant has difficulty using his fork because his right arm has become very weak. An elderly woman looses her balance and then has trouble communicating how she feels to the Good Samaritan who helps her up. A toddler suddenly begins to drool and has difficulty swallowing. All these people, even the toddler, are displaying stroke symptoms. And for each of them, getting immediate medical assistance could mean the difference between a full recovery, severe disability and even death. Thanks to ultra-specialized stroke centres at two McGill University Health Centre (MUHC) hospitals, people who have had a stroke are being assessed and treated at the right place, at the right time and by the right professionals. Both the Montreal General Hospital (MGH) and the Montreal Neurological Hospital, (The Neuro), have recently earned new accreditation. The MGH was designated a secondary stroke centre and The Neuro a tertiary stroke centre. The accreditations were granted by the provincial government after a successful reorganization of services that has optimized speed and quality of care for stroke patients. The transformation of services is part of a stroke strategy put in place by the Ministry of Health in 2013 to improve stroke prevention and healthcare services offered to the more than 12,000 Quebeckers who experience a stroke every year. For every one of them, time is of essence. Wanting to improve efficiency, The Neuro has opened a highly specialized Receiving Area (RA) inside its Intensive Care Unit (ICU) for incoming stroke patients. 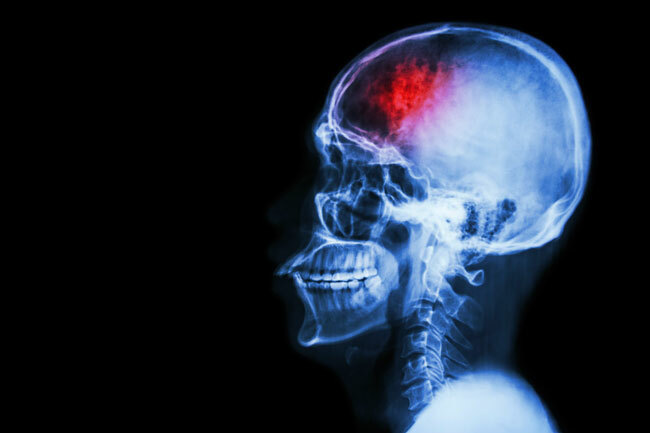 When ambulance technicians respond to a call with someone displaying stroke symptoms, they assess the patient according to the Cincinnati scale. A positive Cincinnati rating considers symptoms such as slurred speech, facial droop and arm drift. Urgences Santé then alerts the RA staff through a direct line. A neuro intensivist and ICU nurses cover the unit 24 hours 7 days per week ensuring that emergency stroke patients are cared for expertly and without delay. On average, the RA admits about four patients a day. For the past year, the MUHC Stroke Prevention Clinic (SPC) located at the MGH has been offering enhanced acute evaluation services to patients with a transient ischemic attack (TIA). The clinic has the same access to radiology and ultrasound equipment as the Emergency Department so that all exams can be done as soon as is needed. It also follows up on patients recovering from a stroke and quickly refers them to rehab specialists.